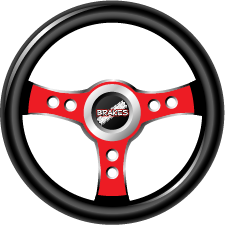 Originally from Canada, Derek brings two decades of driver coaching, instructing and presenting experience to the B.R.A.K.E.S. program. He was involved with the early development of our teen program and has taught classes in both Charlotte and Pomona. Derek has competed in everything from go-karts, formula cars, endurance and stock cars. 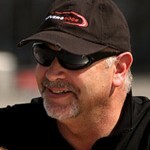 Currently Derek is working with Penske Racing. "Thank you again I truly appreciate it. I also wanted to say that my son loved your course! He was a little apprehensive at the thought of taking the course being a new driver but once he got there he truly enjoyed it. I personally applaud you all for what you are doing. Unfortunately Driver's Education really misses the mark when it comes to preparing teens and new drivers for the dangers of the road. I spent 14 years as a Police Officer and some of the best training I got was the skills I learned from our driving course. You and your team absolutely put together a course that closely mimics the instruction I received and I couldn't be more impressed. Thank you again for all you do!"